Get a luxurious American sedan or passenger van at a spectacular price at our used Chrysler dealership in Louisville, Kentucky! Oxmoor Chrysler Dodge Jeep Ram has a stellar selection of pre-owned vehicles, including the high performing Chrysler 200, a stylish commuter on US-60 with superior on-board technology, smart interior storage, and impressive safety features. Take a look at the Chrysler 300, a big, handsome powerhouse with can’t-miss detailing and a whisper-quiet ride. The Chrysler Town & Country is a versatile people mover packed with features, while a pre-owned Chrysler Pacifica delivers car-like handling and a truly luxurious driving experience. 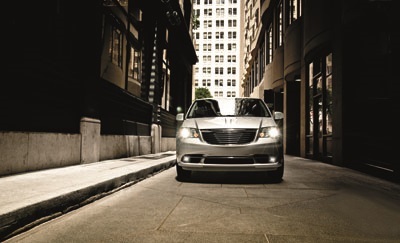 You’ll find the perfect sedan or van in our pre-owned Chrysler selection. Give us a call today! Find a used Chrysler model at your local Louisville, KY Chrysler dealership. At Oxmoor Chrysler Dodge Jeep Ram, we meet all your automotive needs with exceptional selection and sales, as well as top-tier certified service. From oil changes to a radiator replacement, we’ll do the job right, and at a price that’s budget friendly. Need body work? Contact our expert collision repair in Louisville, KY, center for a quote. Our Chrysler service will take care of all your maintenance and repair needs, using genuine Mopar parts to get the job done. Invest in the integrity of your vehicle and schedule routine service today! Our finance department in Louisville, KY, will go the extra mile to secure you the car loan and auto payment plan that works for you. Browse used Chrysler vehicles, then estimate your payments and value your trade online to get the process rolling. Visit our Louisville, KY used Chrysler dealership to get started on your next vehicle.